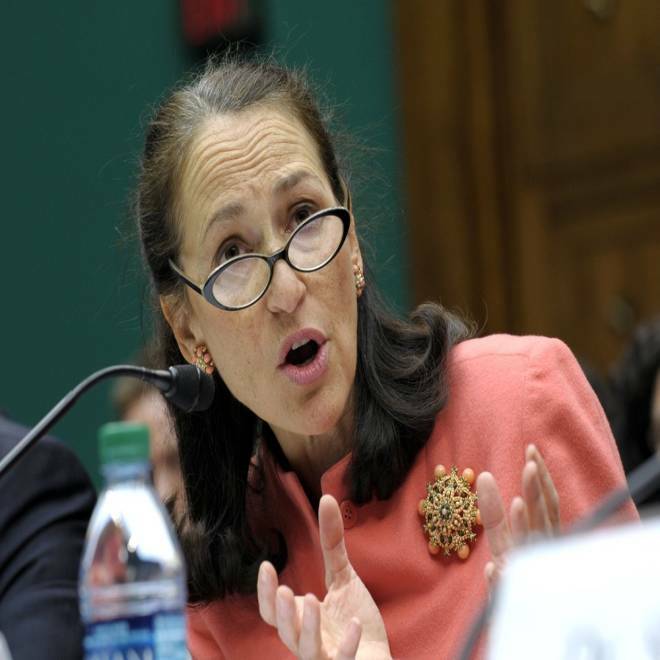 And, says FDA's Dr. Margaret Hamburg, it’s entirely likely there could be another outbreak of infections like the spread of fungal meningitis caused by contaminated pain injections that has killed 32 people and sickened more than 460. Even while repeated inspections showed the pharmacy blamed for making and distributing the contaminated drugs was operating with dirty conditions and wasn’t following the rules, regulators at FDA were arguing about how much they could actually do to shut them down, Hamburg told a Senate hearing. Hamburg and Dr. Lauren Smith, interim commissioner of the Massachusetts Department of Public Health, faced a second day of questioning in Congress about the outbreak. Reports by the House and Senate subcommittees holding the hearings paint a picture of a mixed record, with some states, such as Tennessee and Colorado, acting promptly and others, such as Massachusetts, doing little. And they also point a finger at the FDA. “While the quick work of the public health community has led to early identification and treatment of many cases of meningitis, and reduced the fatalities resulting from the administration of the contaminated methylprednisolone, the committee’s investigation demonstrates that this crisis should have, and could have, been avoided entirely,” the Senate Health, Education, Labor and Pensions (HELP) committee report reads. At issue is how the New England Compounding Center could have continued to make and distribute contaminated drugs that were given to at least 14,000 unsuspecting patients, even while regulators had their eyes on the company. "It was obvious they were acting illegally," said said David Miller, chief executive of the International Academy of Compounding Pharmacy in Missouri City, Tex. "The Massachusetts Board of Pharmacy knew this was going on, FDA knew they were doing this 10 years ago and still did nothing to stop it." Hamburg said it could happen again. Hamburg has been pressing for federal legislation to make clear what the FDA can do to regulate pharmacies. Some members of Congress have said at two days of hearings that they are not sure FDA needs more power but rather needs to use the powers it already has. Sen. Pat Roberts, R-Kan., read out a list of state and federal actions against the New England Compounding Center dating back to 2002, none of which closed it down. Regulators say NECC was acting as a large-scale manufacturer, distributing tens of thousands of medical products to 45 states, while it was licensed to be a compounding pharmacy. Compounding pharmacies are supposed to mix products to order on the basis of individual prescriptions. “In March 2002, a prescribing doctor reported to the FDA that as many as five patients became ill following an epidural injection of NECC-produced betamethasone repositories,” the Senate HELP committee report reads. Betamethasone is a steroid that can be used to treat pain like methylprednisolone, the main drug involved in the current outbreak. “He reported the illnesses to the FDA, alerted NECC about the issue, and returned unused doses to NECC without taking samples. However, when the FDA arrived to inspect NECC on April 9, 2002, there were no records for the drugs in question.” No disciplinary action followed. Two more patients got sick in August with meningitis-like symptoms, linked to methylprednisolone made by NECC, again reported to FDA. Hamburg said she is trying to find out how many companies like NECC there are, making products in mass quantities. Currently, the FDA regulates drug manufacturers, while state boards regulate pharmacies, including compounding pharmacies. FDA has mixed authority in different parts of the country, and another problem is the changing nature of the industry, Hamburg said. And FDA doesn’t even know where to begin looking harder. “We think there are about 7,500 pharmacies doing so-called advanced compounding, then about 3,000 doing sterile processing,” Hamburg said. Sen. Tom Harkin, D-Iowa, who chairs the panel, said the committee was sending a letter to every state board of pharmacy asking them to detail companies acting as compounding pharmacies. “This committee will forge ahead in developing legislation,” Harkin said. He said he hoped a draft could be ready by early next year. One person who could have answered questions wasn't there. Barry Cadden, president of NECC, did not accept the committee's invitation to appear. On Wednesday he refused to testify to a House panel, involking his Fifth Amendment right not to speak. Fungal meningitis victim: "It's tortuous"